The man in the moon. 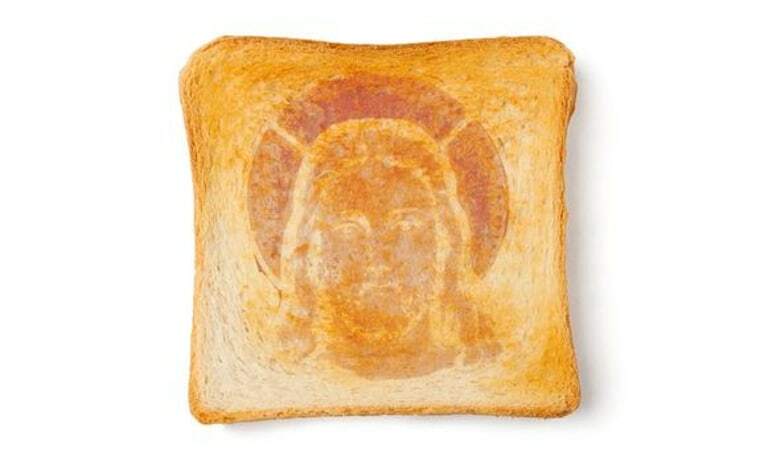 Jesus in toast. The Virgin Mary in a grilled cheese sandwich. Faces are everywhere — even when they're not, strictly speaking, supposed to be. Now, new research reveals the brain processes that underlie these facial false alarms, a phenomenon called "face pareidolia." The findings suggest that expectations matter. When people expect to see a face, these expectations may activate a brain region responsible for processing faces, the researchers report in the April issue of the journal Cortex. The neural basis of this phenomenon is less understood. The neural basis of this phenomenon is less understood, however, researchers from the University of Toronto and several institutions in China report in Cortex. To study what goes on in the brain during these misidentifications, the researchers recruited 20 Chinese men and asked them to look at imagery while in a functional magnetic resonance imaging (fMRI) machine. The fMRI measures changes in the magnetic properties of oxygen-rich and oxygen-depleted blood, which enables researchers to tell which areas of the brain are getting an influx of blood flow at any given time. This blood flow signals increased neuron activity in those regions. The researchers first asked the men to look at a series of images, all of which were obscured with the kind of static-y visual "noise" you might see on a television with a bad cable connection. Two images showed male faces, one easy to discern and the other camouflaged. Two others showed letters, again with one easy to see and one difficult to spot. The final image was pure black-and-white, splotchy noise. The face and letter experiments were done separately, a week apart for each participant, but the set-up was the same. The men were asked to push one handheld button if they saw a face (or letter) and another if they could not. After this initial test, the men saw another series of images and were told half contained faces (or letters). This time, however, all of the images were secretly just visual noise. The men were again asked to press a button to indicate whether they saw a face or letter in the pattern. The results revealed that priming people to look for identifiable objects in random patterns is bound to create a few hits. The results revealed that priming people to look for identifiable objects in random patterns is bound to create a few hits. The participants reported seeing faces 34 percent of the time and letters 38 percent of the time, despite there being none in the images they saw. Because the researchers asked participants about letters as well as faces, they were able to tease out differences in brain activity associated with mistaken identification of a letter and those associated with mistaken identification of faces. They found those differences in the fusiform face area (FFA), a small region on the side of the brain, behind the ear. This region has long been known to be involved in the recognition of faces, though recent research suggests that it helps people identify the differences between any objects of expertise. A birdwatcher, for example, might use the FFA to tell the difference between a sparrow and a wren. The finding that the FFA is involved specifically in face pareidolia fits with previous studies, the researchers wrote. It also suggests that the region doesn't just activate in response to actual faces; it also appears to activate in response to people's belief that they have seen a face. In other words, the researchers wrote, people's expectations may have led their brains to find fuzzy patterns that looked face-like, creating a false impression.